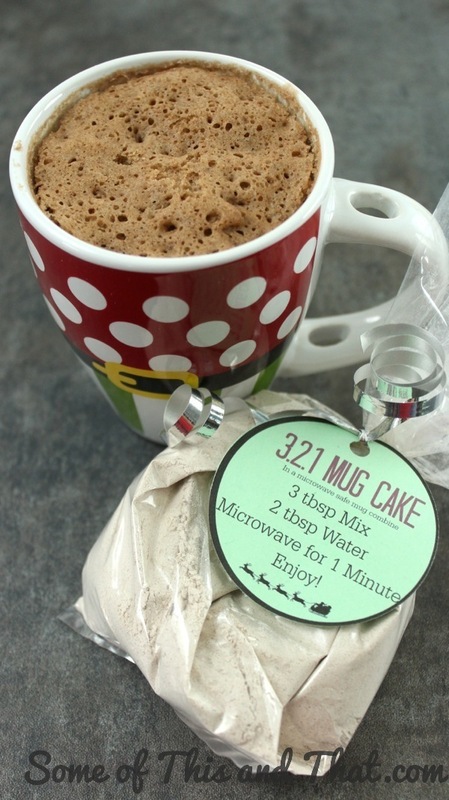 321 Mug Cake! Easy and Fun DIY Gift! 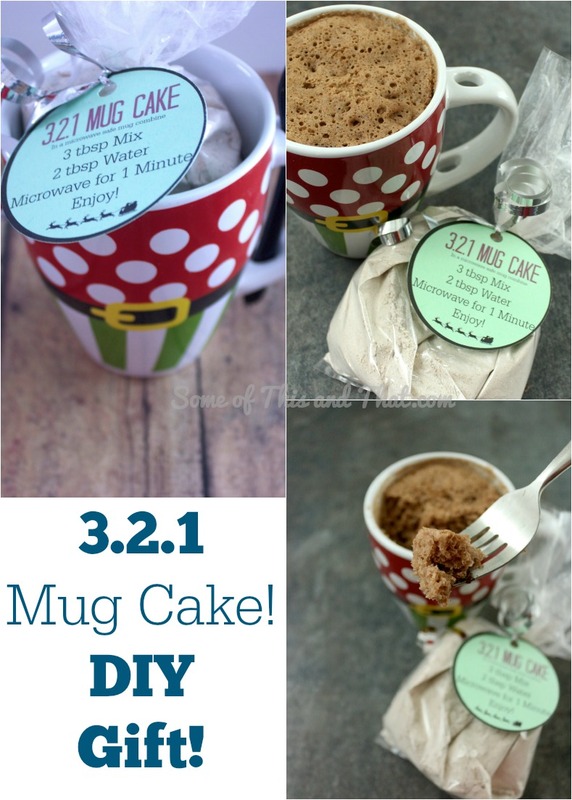 321 Mug Cake! DIY Gift! Nothing like putting gifts for friends and neighbors off to the last minute. My mom asked me the other day what she could make for some nurses that take care of a family member, it had to be easy, and cost effective. 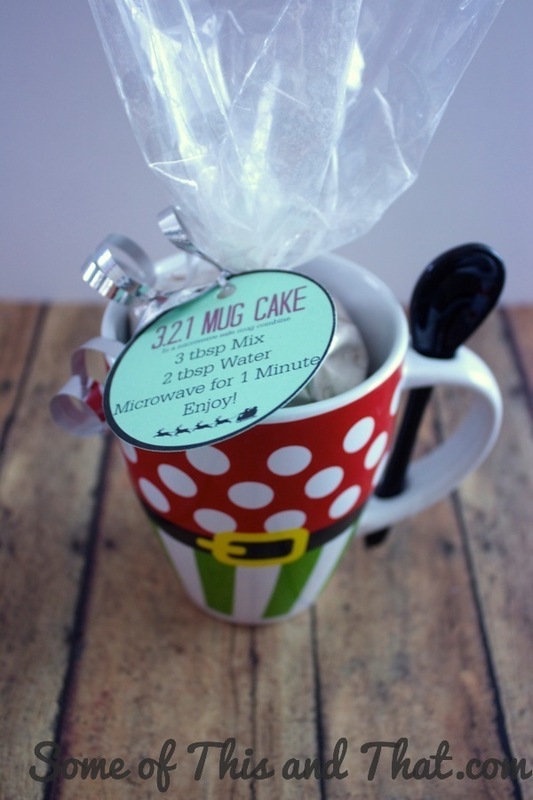 321 Mug Cake makes the perfect DIY gift because it meets both of her requirements. All you need is Angel Food Cake mix, your favorite flavor of another box cake mix, and some containers to package them! 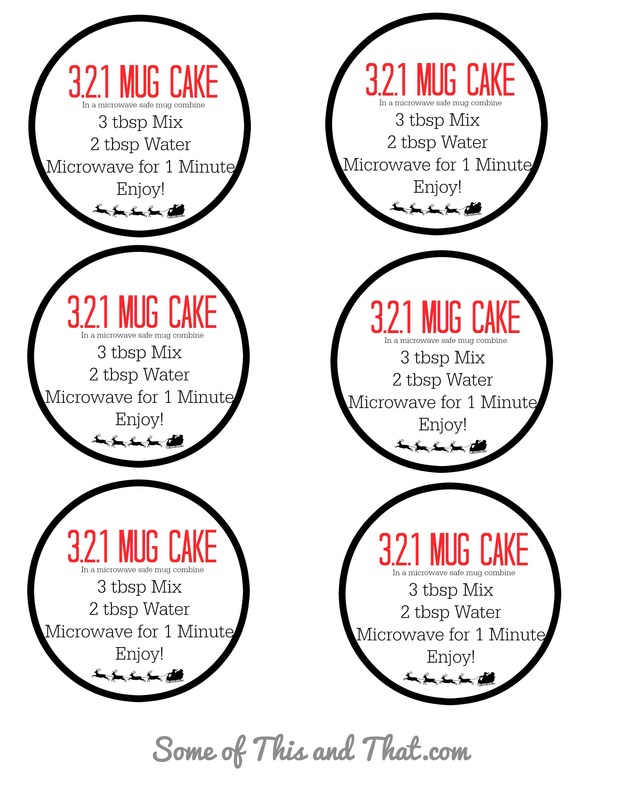 I even made some cute printables to add to the gift so that friends and family know exactly how to make this yummy treat! You can add some extras like chocolate chips, or crushed candy canes to give it something extra! To print, just right click the image and save it to your computer! Even if you are not looking for a DIY gift, I always keep a container of this mix on hand for when I get sweet tooth! Be sure to check out all of our other Holiday crafts and recipes!